Path & Compass | It’s not you. Wait, yes it is. It’s not you. Wait, yes it is. 23 Feb It’s not you. Wait, yes it is. When your marketing is not working, don’t blame the platform. 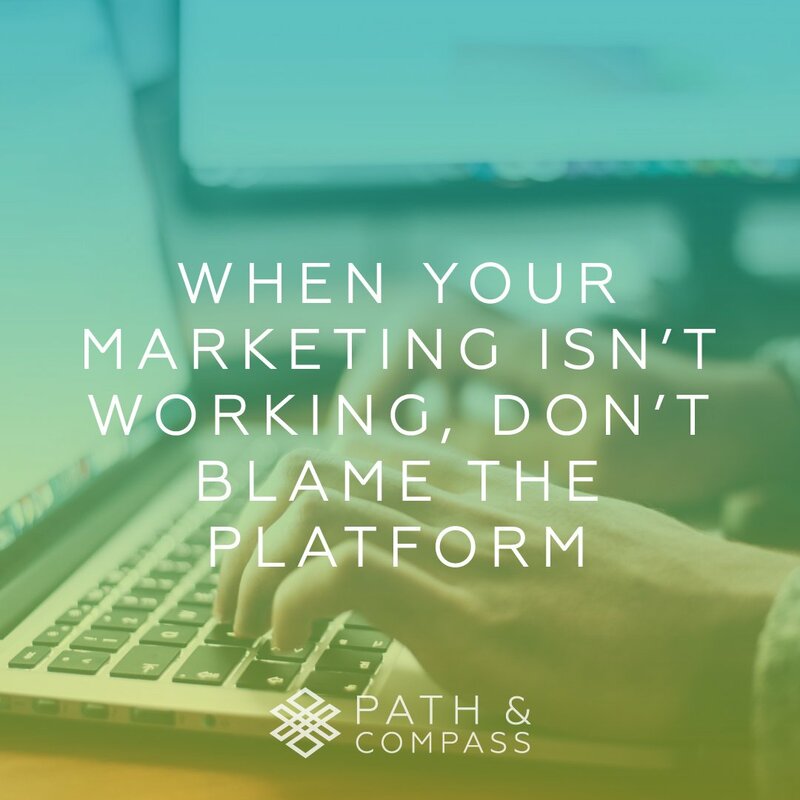 Google’s changing algorithm, the website where you have a banner ad or Instagram’s recent shift on how they populate your feed is nothing compared to what’s really sinking your sales. You are breaking your marketing funnel with inconsistent messaging, crappy follow-up, not asking for the sale, using candid photos to showcase your work, et cetera, et cetera, et cetera. The good news is that you can fix it. Dump the candid pics and get professional images of your work. Review your messaging for inconsistencies and by all means, stop using the word ‘if” (as in “if you’re interested”; assume they are, swapping this for “when you’re ready”). Create different landing pages for different ads to speak directly to leads from different platforms. Always, always include a call to action (tell people what you want them to do; don’t assume they will know). Effective marketing requires trial and error but more often, it requires a willingness to recognize your role in your success.